Not hardy, suitable as a house plant. 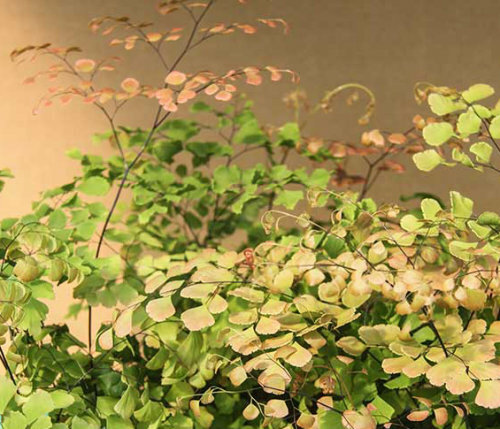 A beautiful Maidenhair Fern with pink-red new growth. Grow in well drained compost and keep moist, but do not overwater. They like a bright spot (not direct sun) and good humidity.